The Victorian Era consisted of the period of Queen Victoria's reign of the United Kingdom, stretching from 1837 through her death in 1901. The era is characterized by a turn toward romanticism and mysticism in the arts and in society, as well as increased time for leisure and better working conditions as industry continued to advance. 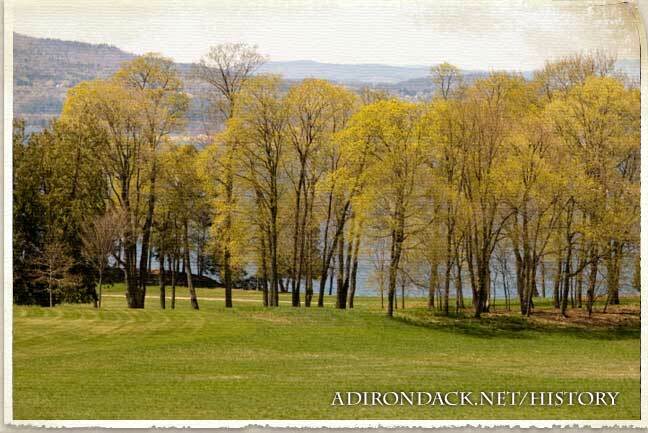 Many influences from the United Kingdom found their way across the pond to the United States and eventually spread into the Adirondack region. The Adirondacks boomed in the Victorian Era. Following the Civil War, Americans focused their attentions on materialism and leisure, paralleling the same shift happening in Great Britain. Thanks to the increasingly easier access to the Adirondacks by technological advances in train travel, residents of New York City began to regularly vacation among the Adirondack Park's lakes and mountains, where they participated in activities such as hunting, boating, and camping. This surge in tourism led to the construction of sprawling resort hotels that catered to the wealthy and boasted all of the newest amenities, including running water and telegraph systems. The hotels were especially popular in the late Victorian Era as they shifted their focus to physical health and wellness. Some tourists enjoyed the area so much that they built beautiful lakeside Victorian summer homes, known as the Adirondack Great Camps. Among those who visited the Adirondacks were famous figures, from businesspeople to politicians. In 1901, Vice President Theodore Roosevelt was hiking Mount Marcy when he received word that President McKinley's health was deteriorating following the assassination attempt on his life. Roosevelt left the area from the Tahawus Club near Newcomb to begin his famed midnight ride to the North Creek Train Station and then on to Buffalo. Influences from the Victorian Era can still be found throughout the Adirondacks, most notably in the architecture of buildings constructed during the time period, the use of steamboats on Lake George by visitors to the region, and the remaining emphasis on tourism ventures in the Adirondack economy.